Deloitte has appointed Cathy Engelbert as chief executive officer, making her the first woman to become CEO of a major US accounting and consulting firm. 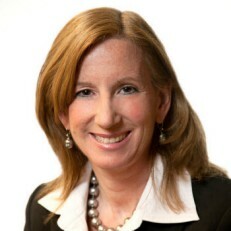 Cathy was formerly chairman and chief executive of Deloitte & Touche, the U.S. auditing subsidiary of Deloitte LLP. She has worked her way up the company after joining in 1986. She has held partner roles serving several of the world’s leading life sciences and pharmaceutical companies and advises multinational companies on financial instrument accounting matters. Engelbert has served on the Deloitte LLP Board of Directors and was a member of the Board’s Strategic Investment, Finance & Audit, Risk, and Regulatory & Government Relations Committees. Engelbert holds a BS in accounting from Lehigh University. She is a certified public accountant and a member of the American Institute of Certified Public Accountants.